An Interview With The Soulful Pop Artist, DIANA HICKMAN! Fusing threads of soul, R&B and pop, NYC-based vocalist Diana Hickman emerges with her new single, “South of Your Thoughts,” from her debut EP. 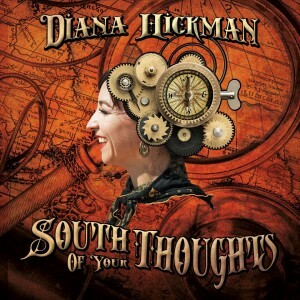 The album, also titled South of Your Thoughts, was recently released on March 3rd. The quirky, whimsical, and sometimes dramatic influences of Hickman’s music stem from her professional background in musical theater. After graduating from the prestigious Boston Conservatory of Music, the singer has graced the stage at a number of NYC’s top venues, including Brooklyn Bowl, Duplex Cabaret Club, Fat Cat, Blue Note and more. Hickman’s background also includes extensive touring across the tri-state area as part of the 80’s-insired band, White Wedding. 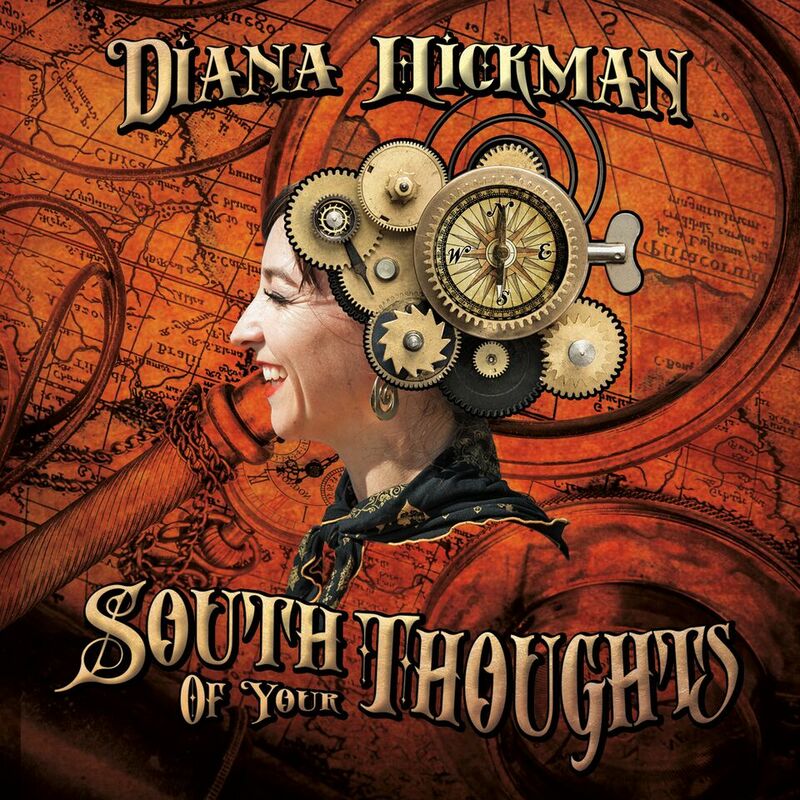 In her latest album, South of Your Thoughts, Hickman fuses classical roots with a sassy, soulful flair that has been likened to Amy Winehouse and Erykah Badu. Rattling. Galvanizing. 2016 was a big year for me personally and musically, because I finished my first EP and shot my first music video. Now that I have an actual finished product, I’m really looking forward to 2017, so I can share it and also refocus in on writing and performing my music more. This whole release thang is a crazy time gobbler, but now that I’ve done it once, I think the next time around I won’t have quite as much of a learning curve, and all the work that has gone into establishing my platform as an artist won’t have to be done again. I’ve learned a ton this past year, and can now apply that to 2017. Next hurdle is planning and executing my first solo tour over the summer. I wanted to be an actress first, actually, and went to school for musical theater, but then realized that didn’t entirely suit me, so I switched my focus to only music and not trying to blend the two worlds. There is still a blend for me though, I incorporate acting whenever I can. One of my first musical memories was getting my first keyboard in kindergarten, and my mom took a strip of paper that labeled the note names and taped it above the keys so I could learn. I got really upset because I had wanted to explore the instrument and figure out how it worked on my own, without any “educational” experience around it. Like, DON’T touch my keyboard, at 5/6 yrs old, haha. The other memory is from 2nd grade when I was singing alone in my room and making up a song about the differences between Heathcliff and Garfield. It was then that I really recognized the tone of my singing voice and had the realization it was pretty pleasing. You just released your newest single, “South Of Your Thoughts.” What was the inspiration for this song? How different or similar to your forthcoming debut EP is it? South of Your Thoughts is about investigating the substance beneath thoughts and getting into the heart and origin of where your thoughts are coming from. It’s about getting quiet enough with oneself to hear answers. This song is the most uptempo of this EP, and I wouldn’t say there’s any other song, style wise of the five, that’s like it. Three of the five are pretty mellow and lean more into maybe like a soulful trip-hop category, and then another one could probably be called neo-soul, and then South of Your Thoughts is like jazzy/classical. What was it like putting together your debut EP? How long did it take to make it? Such an unbelievable amount of work. I’ve grown so much by being challenged by all the little and big decisions along the way. I did a fundraising campaign and also am just finishing up my first music video so all in all, from the point I first called my friend John Cave to help me produce a few songs, it’s been 2 years. I can’t believe it, it’s “just” 5 songs, but between building the platform to put myself out there as an artist, and the care and money I put into making it just right, that’s how long it’s taken. I can’t see it taking that long again though. You’ve had a lot of performing experience. What’s been a favorite show of yours? What made it so incredible? Do you think that being on stage is where you are happiest? One of my favorite shows was when I created a sort of one woman theaterical piece out of my songs. It was multi-media and very audience inclusive and I combined my theater and music worlds pretty well, I’d say. It may not have been the most amazing show I’ve ever performed, but it was the right direction for me- incorporating a loose story and creating an all around experience for the audience, really felt like I was on the right track. I am very happy on stage, sure, but also, the process of songwriting gives me satisfaction like nothing else. I just love love love writing lyrics and finding the way they fit themselves into a rhythm, or sitting down at the piano and following my ear until a part sticks and combines with the melody in the most pleasing way. Eventually I think I’ll be happy to just stick to the recording studio and not perform at all, way down the road. First mention is Erykah Badu. Puh-lease I love how funky and funny she is, and slick. I love that woman. Just saw her over the summer out on Coney Island and she was so multi-talented. I think my jaw was hanging down sincerely like 50% of the time. She was playful, unpretentious, and her presence (being so reserved) schooled me on what it is to actually draw in an audience through connection and impulse from the moment. For the second part of your question, I’ve recently realized I might be a good opener for Jordan Rakei, and even though my stuff does not reflect either of these artists I would love to sing something on a Vulfpeck tune or maybe Frank Ocean could just use me breathing on the back of one of his tracks and I’d be really happy. I’d also love to do a track with Break Science, cause I already know those dudes, so hopefully one of these days we can get the coordinates right and I could lay something down with them. A friend of mine came to hear me play my music for the first time recently, and afterwards she said it was “healing”. YES. That’s what I get from it for myself, so I should hope it will be felt that way by others. Along with healing, feeling hopeful for the future, and supporting others to keep finding their sweet-spot-source of inspiration. That’s another subliminal message I’m hoping is felt out there. Maryland Band FIVES Opens Up About Their Formation, Favorite Artists and Much More!